Jimmy Fallon Channels Trump Before SOTU [VIDEO] - Joe.My.God. Late-night host Jimmy Fallon on Tuesday channeled his impersonation of President Trump in a skit showing preparations for the State of the Union. 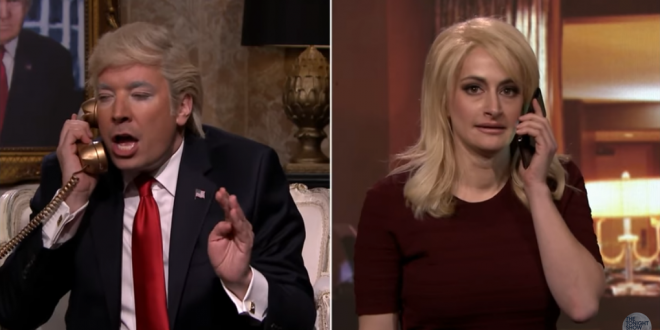 In the sketch for NBC’s “The Tonight Show Starring Jimmy Fallon,” the late-night host speaks to individuals impersonating White House counselor to the president Kellyanne Conway and former President Barack Obama. “I can’t believe my State of the Union address is tonight. And it’s completely sold out. Billions and billions of people will be watching,” Fallon says, imitating Trump.